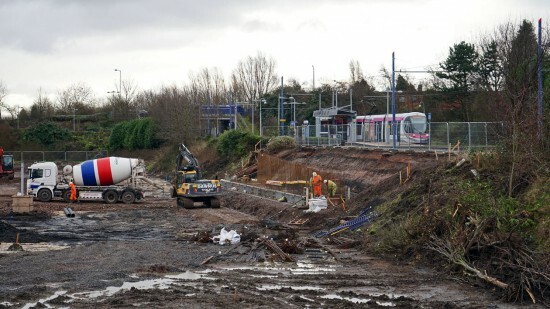 Whilst there may be more high profile construction projects connected to the West Midlands Metro an equally important job is continuing at Bradley Lane where a new park and ride site is being built to allow travellers the chance to catch the tram into Birmingham or Wolverhampton. 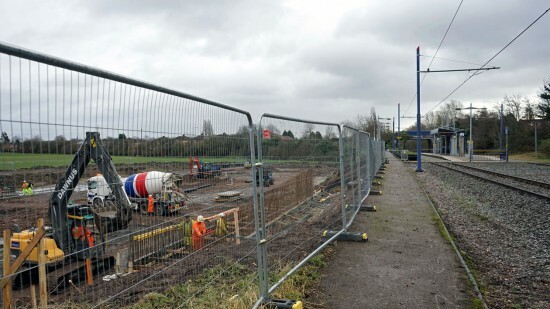 Work started back in October 2018 and is due to be completed by the summer of this year. The project has been split into two phases with the first stage seeing the historic mine/shafts which are located in the vicinity being drilled out and grouted before the second phase sees the 196 space car park – plus associated access – put into place. 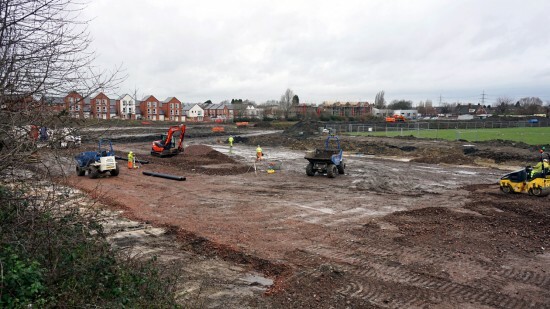 A general view of the worksite showing the site being levelled in preparation for the car park being constructed. The proximity of the car park to the tramstop is evident here. This entry was posted in West Midlands Metro. Bookmark the permalink.